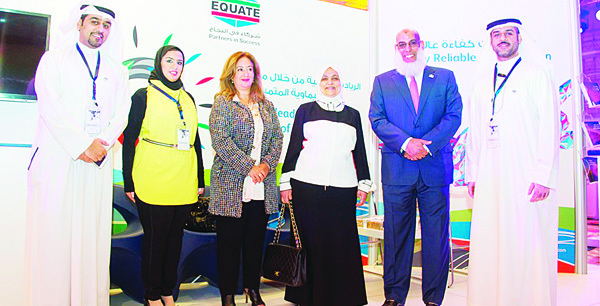 Minister of Social Affairs at EQUATE exhibition stand. 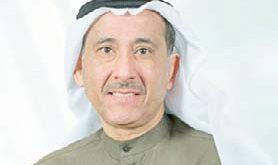 KUWAIT CITY, Oct 19: Under the patronage of His Highness the Amir Sheikh Sabah Al-Ahmad Al-Jaber Al-Sabah, EQUATE Petrochemical Company, Kuwait’s first international joint-venture in this industry, sponsored Kuwait Industries Expo 2015, which is organized by Kuwait Industries Union (KIU). 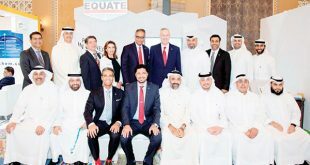 During the expo, His Highness the Prime Minister Sheikh Jaber Al-Mubarak Al-Hamad Al-Sabah visited EQUATE’s exhibition stand. 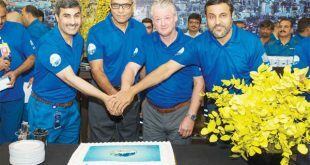 Throughout the years, EQUATE has been an active participant in several events and activities launched by KIU, including previous Kuwait Industries Expos. Kuwait Industries Expo 2015, held during October 18-20, gathers several Kuwaiti public and private industrial, academic and scientific companies and organizations in various fields. 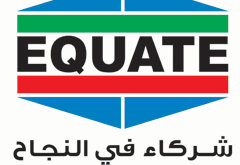 Established in 1995 as Kuwait’s first international joint-venture in this industry, EQUATE Petrochemical Company (EQUATE) embodies its “Partners in Success” slogan through the partnership between Petrochemical Industries Company (PIC), The Dow Chemical Company (Dow), Boubyan Petrochemical Company (BPC) and Qurain Petrochemical Industries Company (QPIC).